I went in for a Nexus6, guess what I came out with? - LMRoss, Inc. I went in for a Nexus6, guess what I came out with? My HTC M8 is a great phone. My Nexus 7 is a great tablet. But I’d grown frustrated with multiple devices looking for that screen size and feature set sweet spot so I’m not carrying so many devices. Owning both generation Nexus 7s (running lollipop) as well as the HTC One M7 and M8 I knew they weren’t a fit. 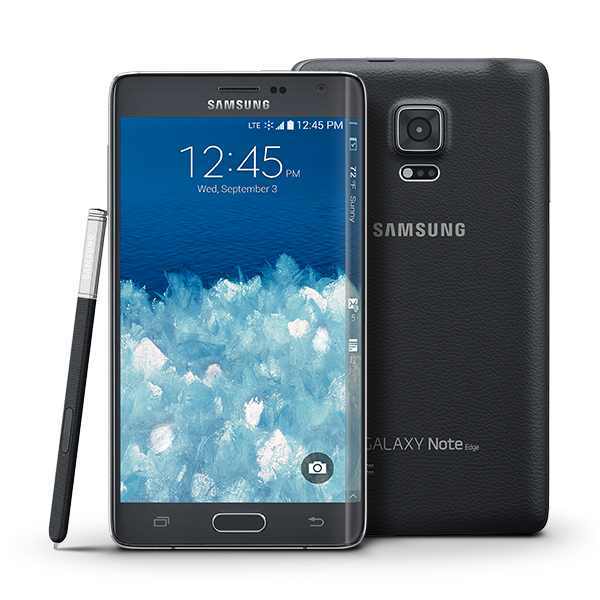 The Galaxy Note 3, 8 inch, while fantastic with split screen and other Note exclusives was still to big and not a phone. LOL. I felt the Nexus would give me the fewest hurdles in development, As well as unmatched power. The drawback, as always, was the lack of a Micro SD expansion slot, (I take a lot of pics, video and love my music.) no biometric that works consistently. (do you always have the lights on when you use your phone) no swappable battery, less than flagship material choices for construction and when starting at the most simple. It is hard to remove a silly or unwelcome feature. Drifting over to the Samsung devices the Note 4 caught my eye. Nearly the exact same specs as the Nexus and in some ways better, SD card, swappable battery… It was still a toss up. I could get pure Android 5 VS TouchWiz and yesterday’s version of Android. Then I saw the Note Edge. The Edge screen made the difference for me. It’s irked me to no end that I loose a good chunk of the bottom of my screen to the soft buttons since Kit Kat and they are still very present in Android 5 and Material Design. Wiithout gaining root or otherwise messing with the OS or TouchWiz I have moved the Bottom Row to the edge screen and got nearly ALL my screen back. The other enhancements in TouchWiz; floating and resizing apps are cool to me. Because yes, with a quad core machine with more power than most of my first computers, I do expect to do more than one thing at a time. The downside list is short but there. You either love TouchWiz or you hate it. I know that I can remove it completely if I want, using either another launcher or voiding my warranty and loading another ROM. The second issue is that I can’t use the cast screen feature on the Chromecast. That’s not on Samsung, but on Google. That the Note 4 is now supported gives me hope. The other quibbles I’ve read: button placement. The use of plastic instead of all metal. I’d simply say that I own the arguable pinnacle of the metal phone in the HTC One (both the M7 and M8) and I don’t consider it the be all, end all in design. In, fact I’m always surprised at how light everyone else’s phone seems to be. Was it worth the extra money over the Note 4? My battery size is a tad smaller them the Note 4, and it’s splitting frog hairs about screen lose or gain, so I refer back to the old adage, in for a Penny, in for a Pound. I lost cast screen to the Chromecast and that’s very important. But I really feel it is coming, I can work around it. The notifications showing on the edge screen are very much a plus and make navigation so much simpler. When it would be rude to pick up my phone and check. I can leave it in its case and still see if it matters right then or not. That I can’t add absolutely any icon to the edge menu annoys me arms seems a tad arbitrary. I expect that will change. So, I took the plunge and bought the Samsung Galaxy Note Edge. I’ll keep you updated.